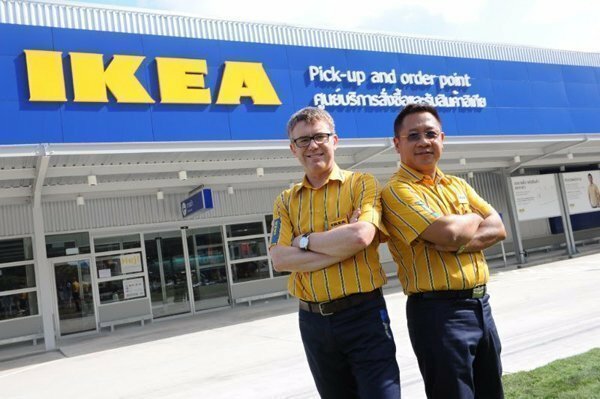 IKEA, a furniture and home furnishing retailer from Sweden, recently held the opening ceremony for its Pick-up & order point in Phuket, offering the many people in Phuket and in the south of Thailand easier access to IKEA’s furniture and home furnishing solutions. The ceremony, which took place at Bypass Biz Town Phuket, was presided over by Phuket Governor Chamroen Tipayapongthada along with Boon Yongsakul, Chairman of Boat Development Co.,Ltd; Mr. Mike King, Retail Manager of IKEA Singapore, Malaysia & Thailand, and a number of distinguished guests from Phuket. The Pick-up & order point, located at Bypass Biz Town on Chalermprakiat Ratchakan Thi 9 Road, has a total area of 2,615 square meters with an investment of over 175 million baht. It is the first of its kind in Asia and the 21st in the world. 1. Browse through hundreds of furnishing ideas in the IKEA catalogue or find the furniture on the IKEA website. Customers can even create a shopping list on the website or the IKEA Store app before visiting the IKEA Pick-up & order point. 2. Simply visit the IKEA Pick-up & order point in Phuket to place an order and arrange the pick-up date. A 200 baht picking fee per transaction will be applied. 3. Collect the items at the IKEA Pick-up & order point five days after placing the order or use the delivery service. A delivery fee will be applied according to the distance from the Pick-up & order point to customer‘s preferred location. The fee starts from 590 baht. There are now 21 IKEA Pick-up & order points in nine countries around the world including Thailand, Spain, Greece, Turkey, Norway, Finland, Puerto Rico, the Dominican Republic, and the United Arab Emirates. The Pick-up & order point in Phuket demonstrates IKEA’s approach to enable many people greater access to wide range of well-designed, affordable, and functional home furnishing solutions.